All our programs are based on the Common European Framework of Reference for Languages. At Academia de Español, we think of Spanish as a six-floor building. Our exclusive ‘Casa‘ program is based on the idea that every linguistic item is held together by the others. In this way, learning a language is like building a house: an architect cannot build a new floor if the one below is not finished. 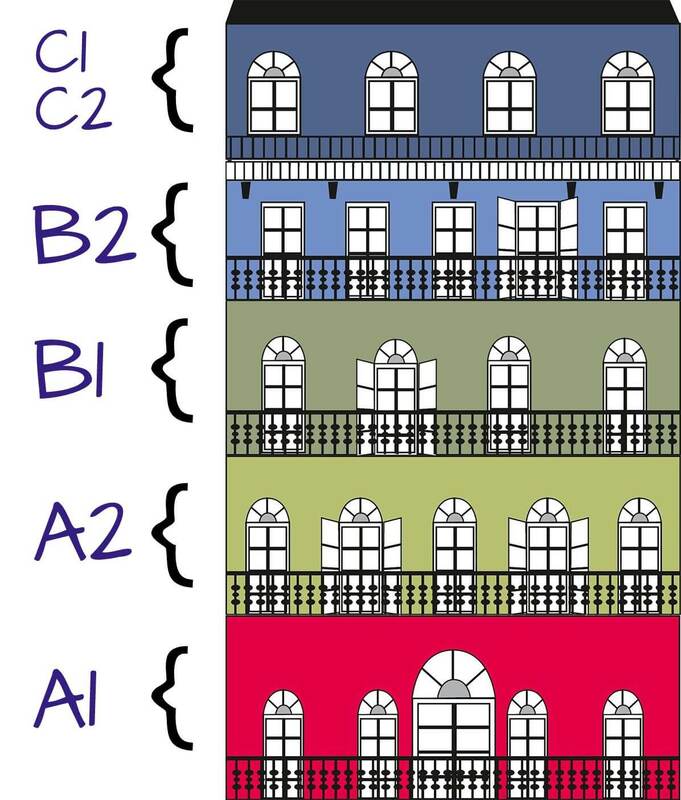 The CASA Program distinguishes 6 very refined levels tied into the 6 floors of a building. At the end of each level, an exam is conducted to gauge the student’s performance so as to advance to the next level. By the end of this course the candidate is able to interact with native speakers with a good degree of fluency, hence enabling natural communication amongst each other. The candidate is able to translate, sub-title and interpret texts from Spanish to English and vice-versa fluently, provided they are within the candidate’s area of expertise. By the end of this course the candidate is able to read, write and speak Spanish in all seventeen tenses. Here, the candidate is able to communicate with an advanced degree of fluency alongside developing greater understanding at an academic level. By the end of this course the candidate is able to read, write and speak Spanish in eleven tenses. Here, the candidate is able to understand the gist of academic texts, deal with most travel situations in Hispanic countries and briefly explain opinions or plans. By the end of this course the candidate is able to read, write and speak Spanish in five tenses. Here, the candidate is able to express familiar concepts & read, write general texts of personal interest. By the end of this course the candidate is able to read, write and speak Spanish in the Present Indicative Tense and the Present Continuous Tense. Here, the candidate is able to communicate using the language in a basic way in circumstances concerning immediate needs and day to day situations as a tourist. This is a syllabus oriented course, not an hourly based course, but by our experience we require approximately 50 hours of training per level. Training is conducted thrice a week and the duration of each class is approximately 1.5 hours. Each course can be completed in a time frame of two and a half months.